This is a view of Walden Pond, where Henry David Thoreau lived in a small cabin between 1845-1847. The site is located in Concord, Massachusetts. 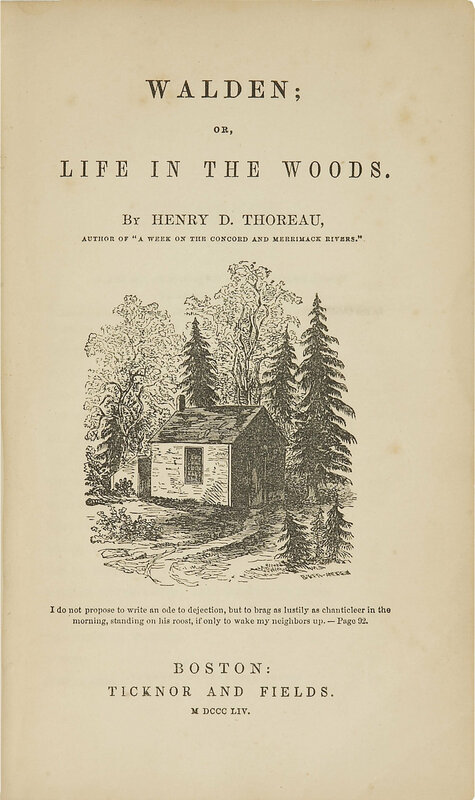 In other words ... Thoreau believed that by living quietly in the woods, for a period of time, his life would be better. Do you think such an experiment would be possible in the 21st-century? If so, do you think people could benefit from "stepping-off-the-grid" for a time? Photo of Walden Pond by Girish Kulkarni and Nishita Desai (known as "ptwo" at Flickr). Image online, courtesy Wikimedia Commons. License: This photo is licensed under the Creative Commons Attribution ShareAlike 2.0 License. In short: You are free to share and make derivative works of it under the conditions that you appropriately attribute it, and that you distribute it only under a license identical to this one. Bos, Carole "Walden Pond - Thoreau's Place of Quietude" AwesomeStories.com. Oct 07, 2013. Apr 24, 2019.